The revised EU ETS Directive therefore introduced the concept of an EU-wide, harmonised, approach for the allocation of the greenhouse gas emission allowances. It provides that, for the third phase of the ETS, respectively January 01,2013 – December 31,2020, the basic principle of allocating greenhouse gas emission allowances is auctioning. This means that businesses have to buy an increasing proportion of allowances through auctions organized by the European Commissionand Member States, on designated european stocks. EU ETS operators access to these processes can be accomplished through SSIF VIENNA Investment Trust that owns the quality of participant in exchange trading on the European Energy Exchange (EEX). The European Energy Exchange (EEX), based in Leipzig, was founded in 2002 as a result of the merger of the two German power exchanges in Frankfurt and Leipzig. Since then, EEX has evolved from a pure power exchange into the leading trading market for energy and related products with international partnerships. European Energy Exchange (EEX) was designated common EU auction platform for 25 Member States, and individually for Germany. In order to strengthen the position of EEX, the clearing activities have been transferred into the subsidiary European Commodity Clearing (ECC) in 2006. Today, ECC is the leading clearing house for energy and related products in Europe. 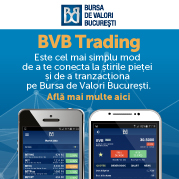 VIENNA Investment Trust is the only romanian company that has been admited as participant of the European Energy Exchange (EEX) in order to conduct transactions on EEX Spot Markets – Emission Righs, and to participate/to bid in primary auctions of emission allowances on own account and on behalf of its clients on common auction platform EEX – European Energy Exchange, Germany. VIENNA Investment Trust has been authorized by the Financial Supervisory Authority (F.S.A.) under Decision no.99/05.02.2013 to bid in the auctions of greenhouse gas emission certificates on behalf of clients, according to article 18 para. (3) of (EU) Regulation no. 1031/2010 on the calendar, administration and other aspects of auctioning of greenhouse gas emissions certificates pursuant to Directive 2003/87/EC of the European Parliament and of the Council establishing a scheme for trading greenhouse gas emission levels within the Community. An operator managing an installation under the trading scheme can benefit from these certificates and the amount obtained by the company may be redirected to any investment or need. Banking services: swaps, hedge, forward, lending, financing. EUA – European Union Allowance – transactional unit (listed on the Environmental Stock Exchange) belonging to the Greenhouse Gas Emission Trading Scheme. One EUA represents the right to deliver 1 tonne equivalent of carbon dioxide. CER – Certified Emission Reduction – a unit equal to one ton of carbon dioxide emissions. CER’s are issued for emission reductions from CDM project activities – Clean Development Mechanism (green energy). ERU – Emission Reduction Unit – a unit of emission reduction achieved by a J.I. project (Joint Implementation). One unit is equal to one tonne equivalent of carbon dioxide emissions. VER – Verified Emission Reduction – carbon credits that are not certified under the Kyoto Protocol, but can be used to offset carbon emissions. 1 VER corresponds to one tonne equivalent of carbon dioxide emissions. Individual or juridical entities that own or intend to buy certificates of emissions of greenhouse gases. The European Union, in order to meet the Kyoto agreement, has launched a Greenhouse Gas Emission Trading Scheme (EU ETS) for all 25 member states on 1 January 2005. Member states set an overall emissions cap for industry, and issue allowances (i.e. rights to emit one tone of CO2) equal to that cap. Facilities subject to the cap are required to surrender an allowance for every tone of CO2 they emit. The total number of allowances under the cap will be reduced annually, thus continually reducing the emissions. This cap-and-trade system regulates the carbon dioxide emissions of approximately 15,000 companies or facilities in the oil and gas, power generation, pulp and paper, cement and glass, and steel sectors across the EU. These installations are allocated tradable emissions allowances each year. Companies whose emissions exceed their store of allowances will face large penalties: 100 Euros per ton during the period 2013-2020. In addition to paying the penalties, companies are still required to submit the missing allowances in the following year. Instead of reducing its own emissions, a company can meet its target by purchasing allowances from another company who has a surplus due to an emissions reduction project. This creates an incentive for those companies who can reduce emissions at lower cost than the actual or anticipated market price of allowances, and hence helps lower the overall economic cost of emissions reductions. CO2 certificates will be auctioned on the European Common Auction Platform (CAP). There is a main idea to be considered: trading emissions can become the most profitable instrument of financing you business. Furthermore, the funds can be used for financing any activity within the company, no restrictions applied.